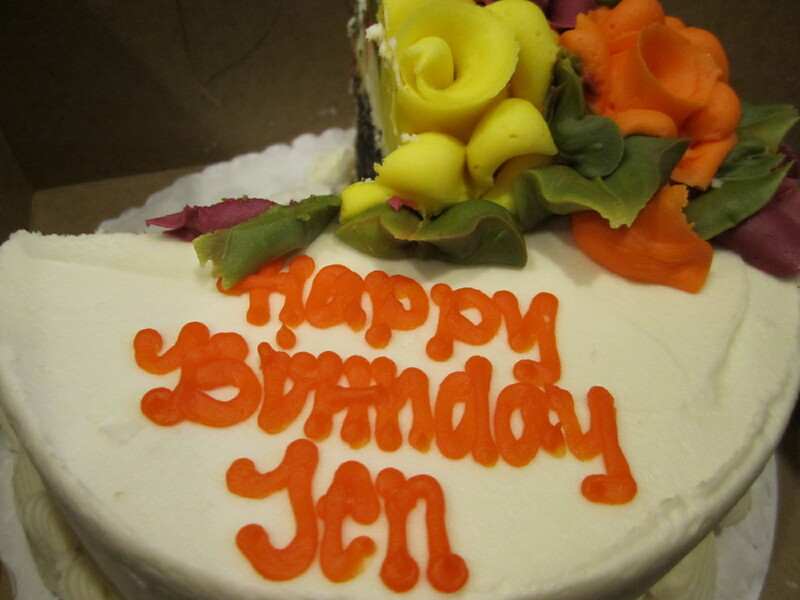 Yesterday was a big day for me – I turned the big 3-0! Don’t mind the half eaten cake! We forgot to snap photos before digging in. 🙂 It was delicious chocolate cake (my favorite!) from Party Favors! Yum. We celebrated with a low-key weekend with family. It was great! 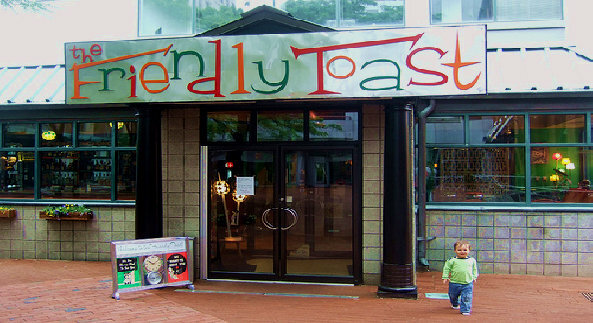 On Saturday morning, Brant took me out for breakfast to The Friendly Toast in Cambridge. 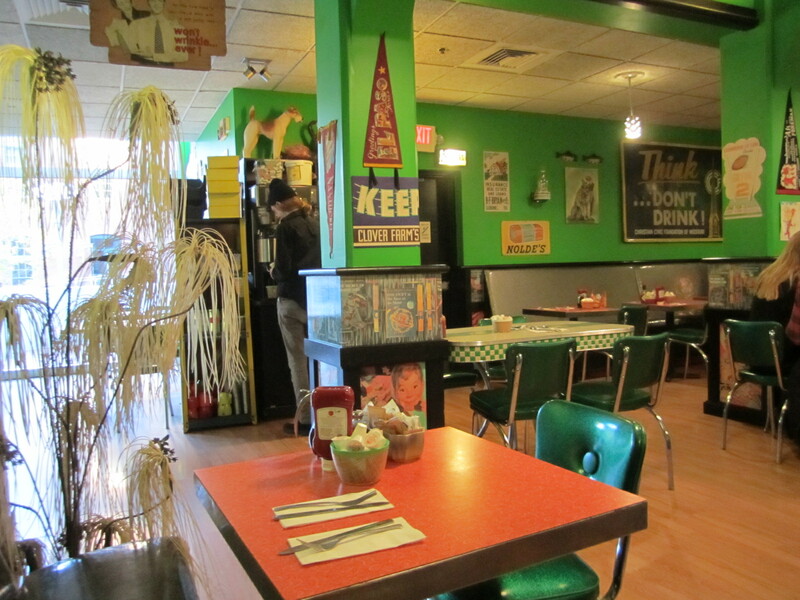 I loved the atmosphere of this old school diner and the very extensive menu! 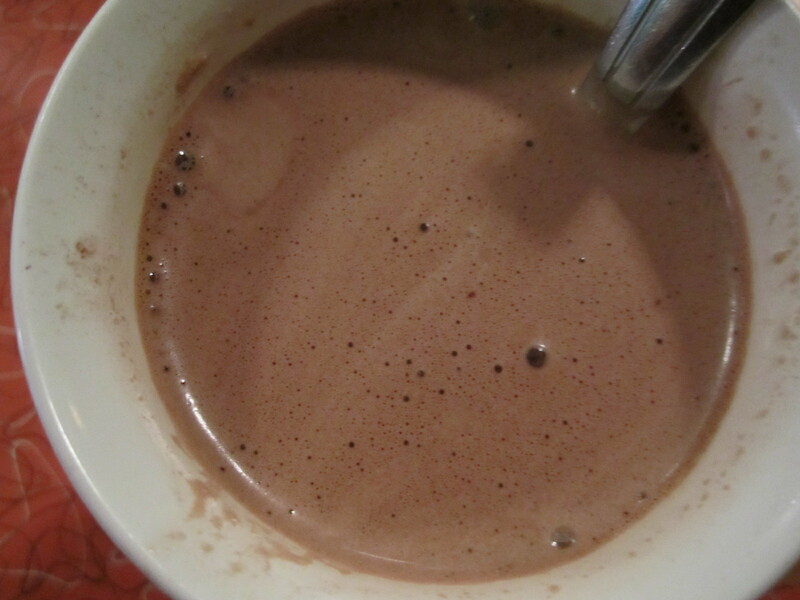 I started with a coconut hot chocolate. 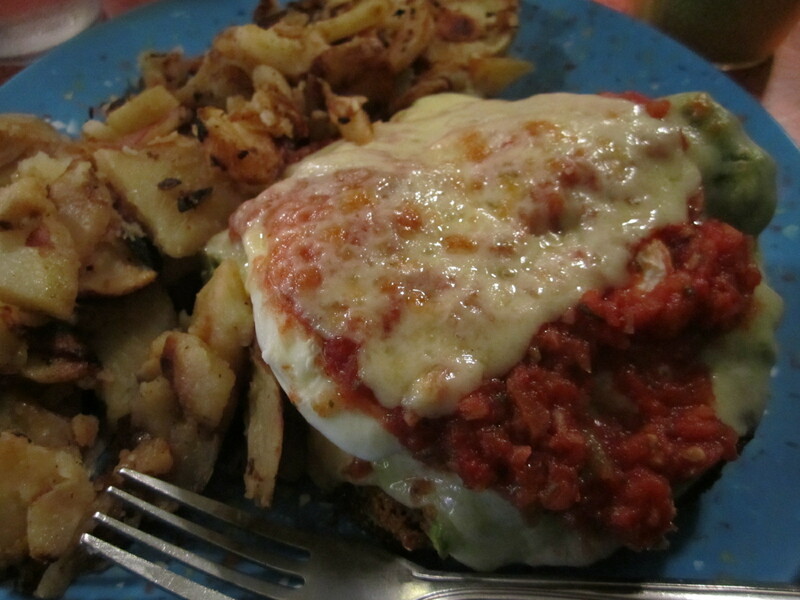 And, ordered the Huevos Rancheros for my meal. It was delicious! A thick slice of anadama bread with avocado, poached eggs, melted cheddar and homemade salsa. Brant ordered the Mexican Mash, which also looked great! 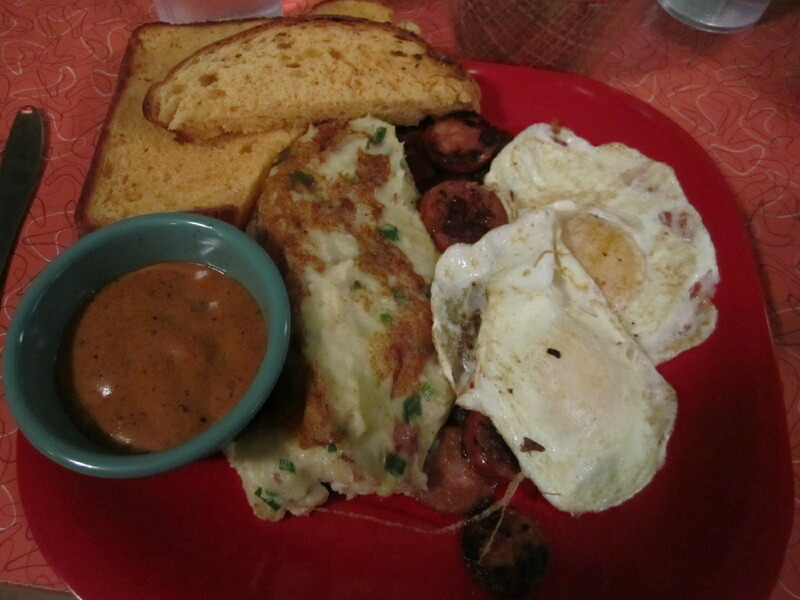 Mashed potatoes, eggs and sausage with cheddar chipotle toast. Yum!